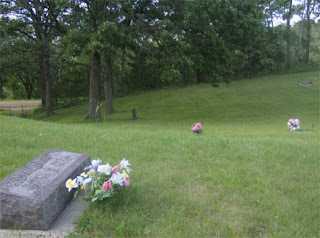 This photo was taken by the Midwest/Minnesota Paranormal Society at the Colfax Cemetery. MMPS was there doing an investigation into a local legend called "Timber Lake Road". The story goes that there have been many sightings of red eyes in the forest, screams, dogs barking, moans from a woman, and strange shadows. Just all kinds of weirdness. There is also a claim of piles of dead rats being found in the winter time. The photo was taken on the night of July 26, 2009, it was take with a Cybershot 7.2 megapixel. 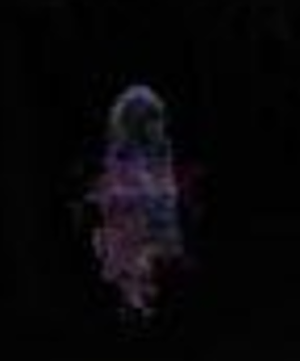 I have zoomed in on the figure in one of the following photos. 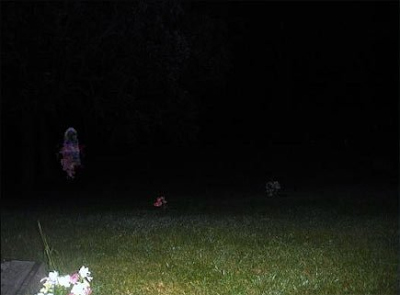 Here is the original photo of what might be a real ghost. Here is a zoom on the figure. 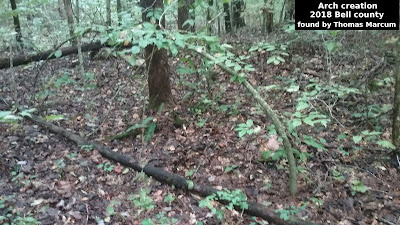 Zoom of the figure in the photo. Some have attempted to debunk the ghost photo as just a reflection but I'm not so sure about that. The investigating team of MMPS alos reported feeling cold spots and getting goose bumps. It does appear there is definitely something going on in the photo and the Colfax Cemetery. What is your opinion of the photo? cool ...if you ever make one let us know. On Facebooks site called "Only in Minnesota" we saw an article titled "Stay away from Minnesota's most haunted street after dark or you may be sorry" with a picture of a gravel road. We read the story about Timberlake Road and this woman who lived in a house near the road one day came home to find her children murdered. Devastated, she hung herself, and her ghost has wandered the road searching for the murderer ever since. A gated cemetery stands along Timber Lake Road. This is where the woman and her children are said to be buried. Here, visitors have sighted ghostly children wandering the graves. You may also hear strange sounds. Dogs howling, a woman wailing, and otherworldly screaming have all been reported. I am curious if this is a true story. If it is, what is the woman's name? When did this happen? I have searched with no luck in finding this info. Can you help? A couple months ago 2 friends and I decided to check out this road and cemetery. We waited until dark and it was very scary going down that road. Foggy, etc. Then we found the cemetery next to that road. (Colfax Cemetery) We only entered with the car a short way in because we didn't know if we could continue driving in there and turn around or if we'd need to back out. While we were sitting in the car looking around to see if we could see anything, I opened my door to try take some pictures of some of the headstones in the dark. When we left and I was looking at my pictures I found a couple that had this white moving thing on there. (I have live photos on my Iphone) I did not notice this white thing as I was taking the picture. It's very strange especially as it moves. Please contact me if you can tell me if this story is true and who this woman is and what date this happened. Thank you. A better email would be meyers143@charter.net. Thanks for some update on the back story.